I've no card prepared for today so I hope you will forgive me, I was at the theatre last night with my Mam to see a play, a very funny one too. I'm not sure if I have already told you how amazing my Mam is but I wanted to tell you that she has started a computer course. When we lost Dad my Mam picked up a computer for the first time and loved it, she views many of the blogs from my Blog Links she surfs the WWW if she needs to find products and the likes and she wanted to know a bit more so she signed herself up and has even set up her own email address. 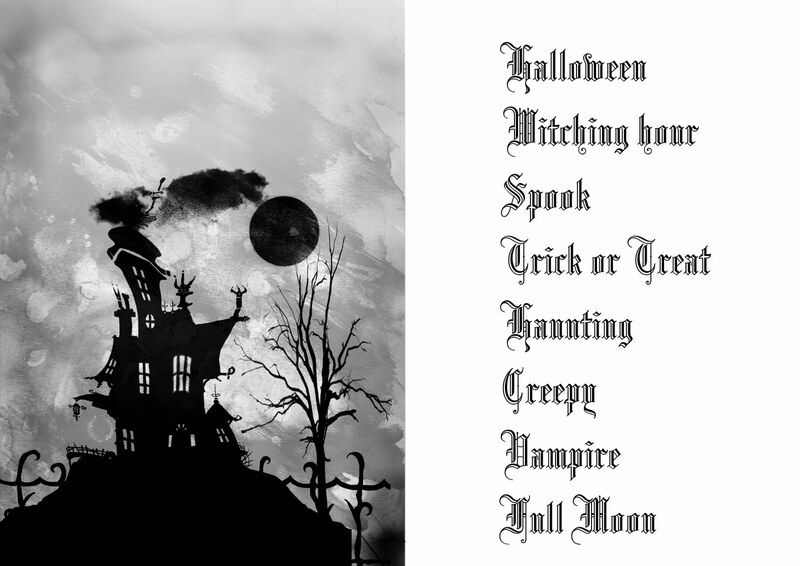 So rather than a card I know many of you have know started on your Halloween Cards so I've prepared a free sheet to help you on your way. Click on the image to bring it up to full size then save it to your computer. Thanks for a great sheet! Ooooh thanx Jak - and glad to hear you and your mam had a great night out together! Thank you so much Jak....it's spooktacular! lol! That's wonderful about your Mam and the computer course, I don't know where I'd be without mine. Glad toy both enjoyed your night out together. Thanks Jak! This is fab! So is your Mam for deciding to become computer literate. The night out together sounds like a ton of fun too! Fantastic sheet, thank you so much Jak. Great to hear that your mum is enjoying using her computer and even starting a course, well done!! Glad you enjoyed your night out, you derserve a break. Thank you, Jak. The sheet is fabulous. How lovely that you and your mam can get along so well. That isn't the case for ALL of us. Enjoy your time with her and spread the joy, as you always do. P.S. I was born in Watford, near London. Anywhere near where you reside? 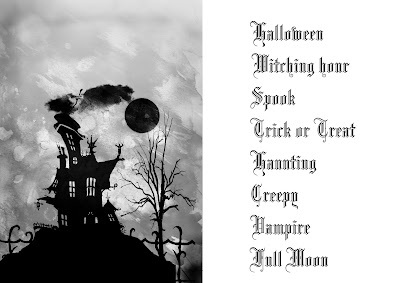 Thank You so much Jak for this fab backing sheet, you are so right in that Ive got a few spooky images but no real backing for them so this is absolutely perfect! ps. just wanted to say how much 'James' from JI instantly reminded me of your young Jack! Thank you Jak! So glad I found you! thank you for this freebie!!! it looks really awesome.